CULTURE: After "A Billion Lives", director Aaron Biebert tackles a new film about nicotine. Let's go to the United States to get some news from the director Aaron Biebert. 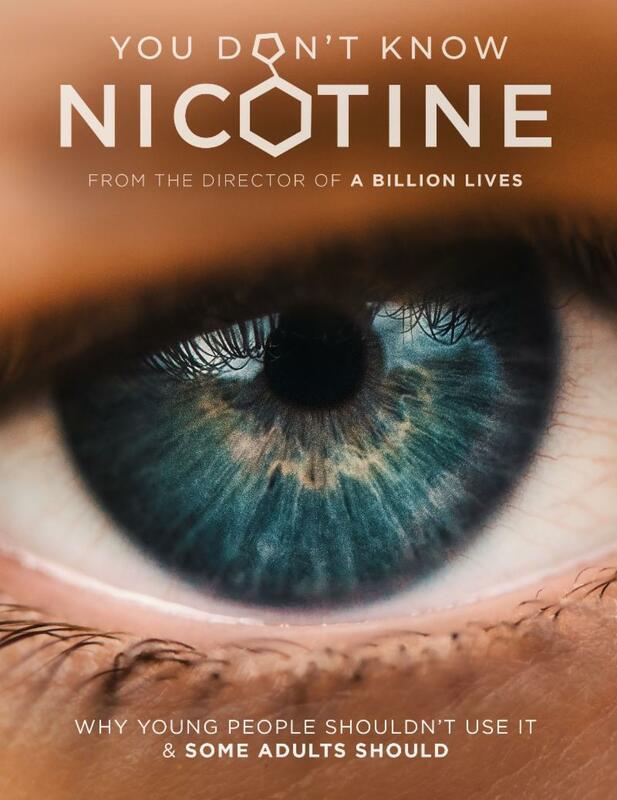 After the success of the documentary film A Billion Lives and short film « Global Confusion ", The American director launches into" You Do not Know Nicotine '(' You do not know nicotine") A new film that will deal with nicotine and that should answer many questions on the subject. A NEW DOCUMENTARY FILM TO END THE DIABOLIZATION OF NICOTINE! If the bet A Billion Lives Was ambitious, it unfortunately did not have the desired effect on the public authorities and the population. Despite this misunderstanding and regret, the American director Aaron Biebert does not intend to stay there and has just announced the current shooting of a new production: " You do not know Nicotine". The shooting of the new documentary film You do not know Nicotine Started several months ago, the American director aims to finish filming before the end of the summer 2019 to be able to present it at various film festivals in the winter 2020 (Sundance, Berlin, True / False , SXSW, etc.). Not to repeat some mistakes made with "A Billion Lives" a real organization has been put in place, according to Aaron Biebert it will require a closer collaboration with Hollywood, a larger communication budget and better accessibility to the public. For this the team of "You do not know Nicotine" will work with a company that has good connection with the world of cinema: The Collaborative Film in Los Angeles. A campaign " Kickstarter Should also see the light of day in order to minimize production costs. The ultimate goal would obviously be to reach tens of millions of people with this innovative documentary film. To find out more go to the page Official Facebook of "You do not know nicotine".